They have millions of dollars, a cool job and luxurious mansions. These NFL players have got it good. 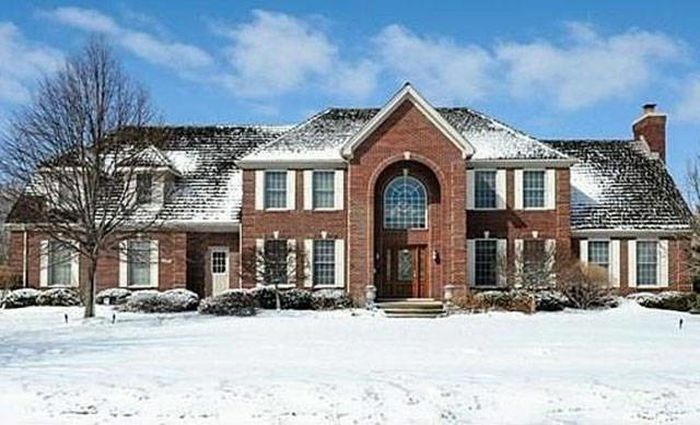 Leasing this 6,718-square-foot mansion for $10,000 a month. Three-quarter-acre lot loaded with a high-end gourmet kitchen, a stately wood-paneled library and a spa-like master suite. $1M. Gorgeous brick home includes five bedrooms along with five and a half bathrooms. Dallas, Texas. 9,304 square feet. 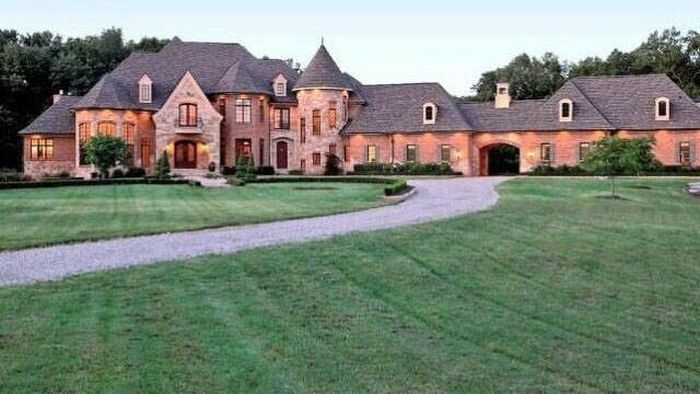 English-style mansion with 6-bedrooms, 7.5-bathrooms and features four living areas, numerous bonus rooms, a wine porch, seven fireplaces, a theater room and a chef’s kitchen. $1.3 million. 8,300 square feet. Mansion is fit with seven bedrooms, eight bathrooms, a home theater, a billiards room, two fireplaces and two separate swimming pools. Plus a 1,050 square feet guest house, a massive garage, a spa, rock waterfalls and many other interesting details. $1.47M. North of Solider Field, Chicago. 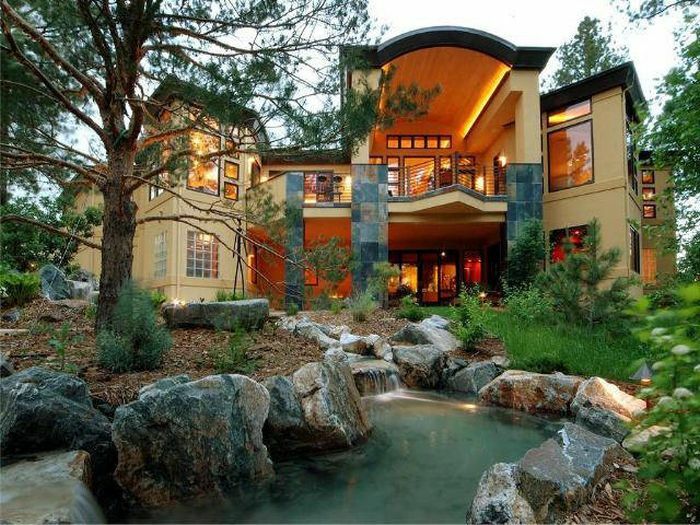 6,062-square-foot home. 5 bedrooms, 6 ½ baths and 4 fireplaces. Tampa, Florida. $2.4M. 4,781 square feet. Boasting a whopping four bedrooms and seven bathrooms, 10 flat-screen TVs, a wood-paneled elevator, fish tanks and iPhone-controlled surround sound. Virginia. $2.5M. 9,000 square feet. Five bedrooms, four bathrooms, a wine cellar and sits on three acres of property backed up to a golf course. Richmond, California. $3.3M. 7,000 square feet. 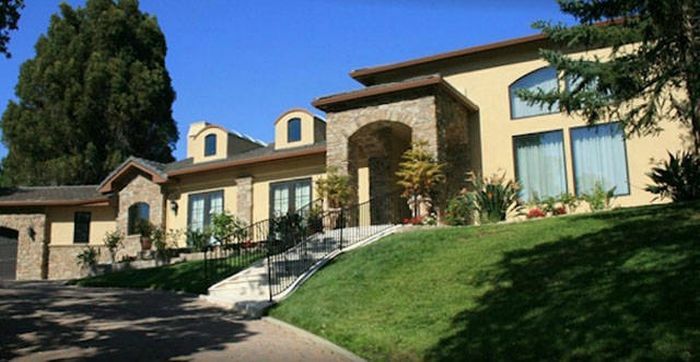 5 bedrooms and 5 and a half bathrooms, and a killer view of the San Francisco Bay. Numerous bedrooms and bathrooms, swimming pool and spa, huge dining room and even a man-made garden. Southwest Ranches, Florida. $5M. 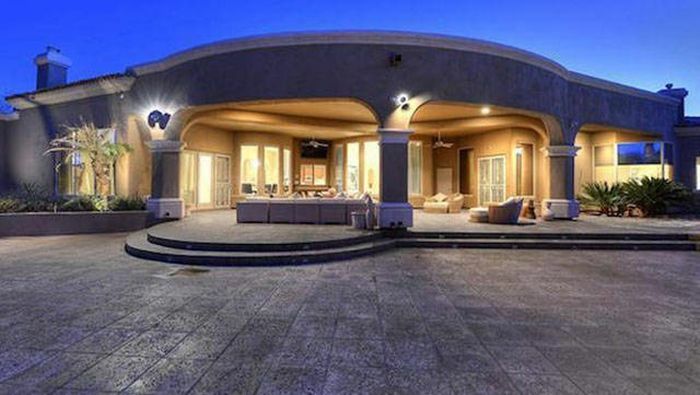 11,000 square ft. Comprised of 6 bedrooms, 7.5 baths, a full size basketball court, movie theater, game room, office and an area for horses, too! This $3.3M mansion features six bedrooms, six bathrooms, a courtyard with fountain, outdoor fireplace, built-in BBQ, swimming pool with a waterfall, private rose gardens, wine cellar, full bar, library and a media room. He paid nearly $5 million for it, and it includes seven bedrooms, nine bathrooms, a huge garage, and even a panic room. 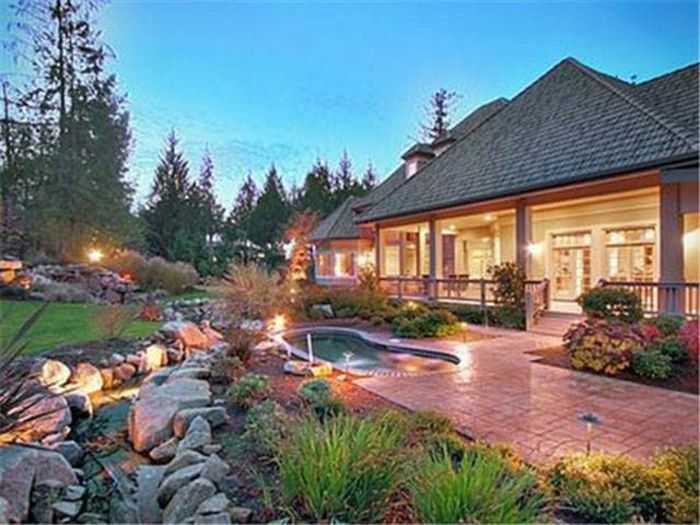 Lake Washington, $6.7M. Equipped with seven bedrooms and seven bathrooms and a boat dock. 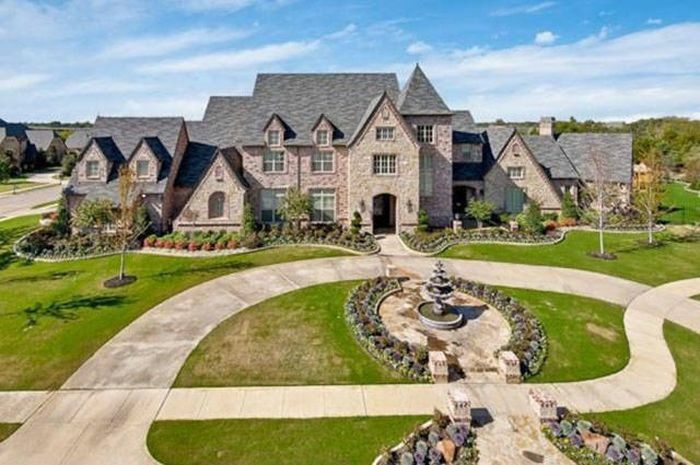 Dallas, Texas $9M. 32,515 square feet mansion consists of six massive bedrooms, a swimming pool, an outdoor entertainment area, a spa and three fireplaces. Arizona. $4.99M. 10,000 square feet and a large yard. 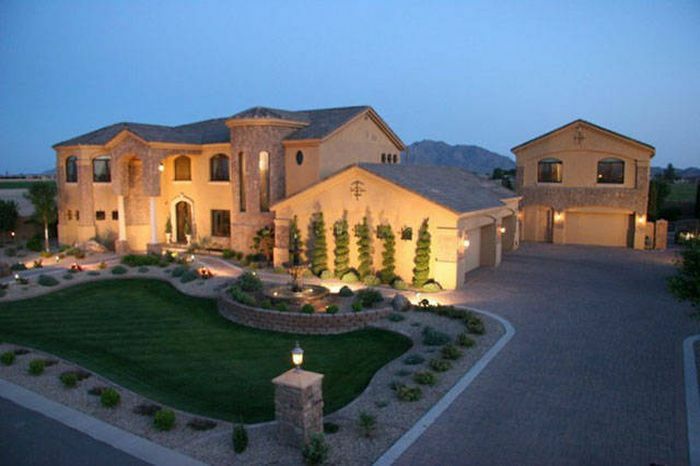 Briggs sold his Arizona home for $2.7M. Saratoga, California $3.3M 5,000 square feet. California. $3.5M plus $1.5M on custom renovations. 9,610-square-feet. Mansion equipped with basketball court, a wall-sized fish tank, golf green, and a bridge over its massive pool. Movie theater built with a 1967 Ford Mustang split in half for the drive in experience. 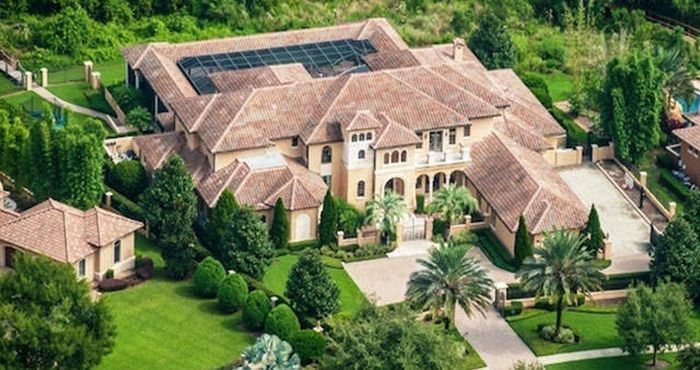 He was forced to auction his $7M Florida mansion for just $2.9 million after filing for bankruptcy. 15,162 square-foot mansion has an Olympic sized swimming pool and custom built water slide. Los Angeles, California. 9,200 square feet. 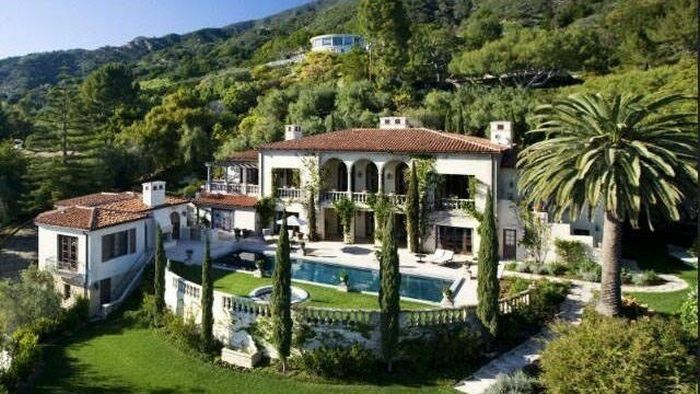 This is just one of his homes, a large Mediterranean-style mansion with a big pool and a gorgeous yard. Several bedrooms and bathrooms and a professional chef’s kitchen. Located in Florida, this home is around 7,900 square feet. It is also equipped with a game room, theatre and wet bar. 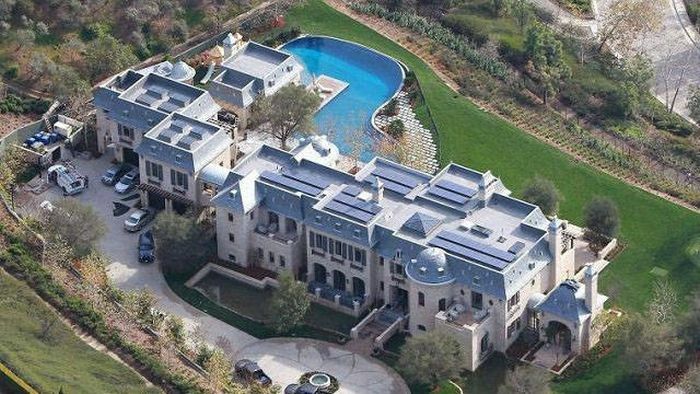 10,000 square foot home that cost $24M. Features include a wine room, bar and concession room. 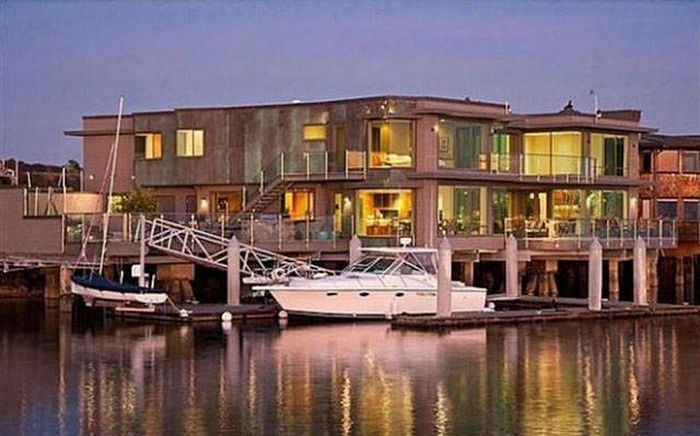 $11M home located in California (right next to Justin Bieber). With 11,700 square feet, it includes a sunken basketball court, game room and massive swimming pool. Jerry Rice – San Fransisco 49ers, Oakland Raiders and Denver Broncos. $9M located in Atherton. Over 13,900 square feet, including a sauna, steam room, and gym. $2.6M, 10,000 square feet, that is 3 floors. Although, this house doesn’t look like anything spectacular on the outside, the home is equipped with some pricey amenities, including a very high-end kitchen. 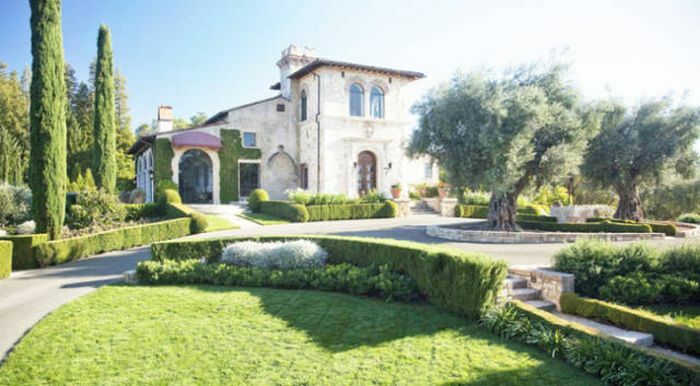 Recently sold for $35M, it is located in the beautiful wine country and was approximately 10,000 square feet. $2.3M. 9,435 square feet located in Seattle, Washington. The home includes an indoor swimming pool, floor-to-ceiling fireplaces, basketball court and beauty salon. $4.7M. 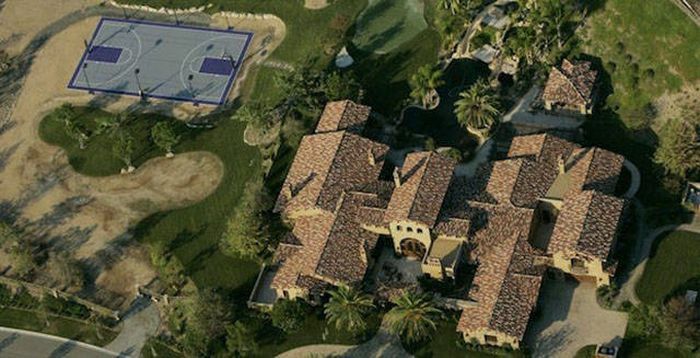 Compared to the other mansions listed, Reggie’s home is only 4,831 square feet, although his amenities make up for it. Including a state-of-the-art theatre room, elevator, library, custom BBQ area, pool and spa. This beautiful Mediterranean-style estate was built into a California canyon, and although no specific details have been released, we know this home includes a ridiculous amount of bedroom and bathrooms, home theatre, and chef-style kitchen. Deion Sanders – San Francisco 49ers, Dallas Cowboys, Washington Redskins and Baltimore Ravens. Texas. $21M. 29,123 square feet. 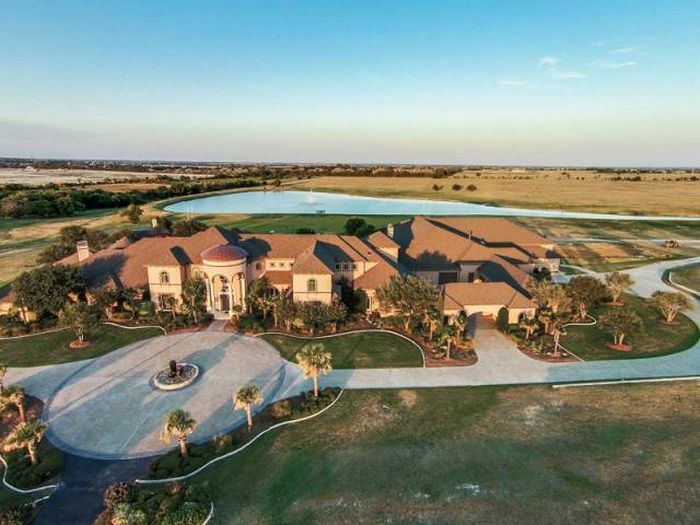 This beauty has an indoor basketball court, a bowling alley, a football field, a tennis court, indoor and outdoor pools, and it’s very own 12-acre lake. wow, and they don't even play real football (soccer).